GOLD FEATHERS. ADVENTURES, INSPIRATION, AND OTHER LOVELY THINGS. 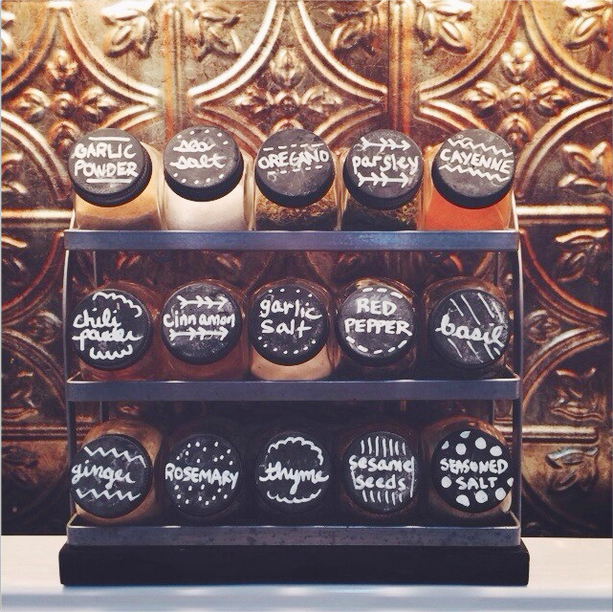 : DIY CHALKBOARD LIDS FOR SPICE RACK TUTORIAL. DIY CHALKBOARD LIDS FOR SPICE RACK TUTORIAL. 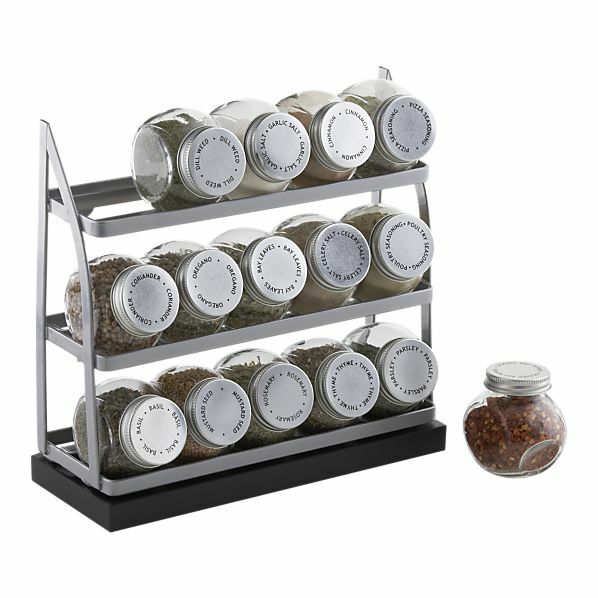 crate & barrel spice rack as a wedding gift. i'm not a big fan of silver, and most kitchen accessories are silver. also, dill weed? coriander? celery salt? mustard seed? many of the spices were never being used. i decided to customize the spice jar lids. i get to choose what spices will be out on my counter! and just spray the whole rack gold! or any spices you know you will never use. 2) wash and dry all spice jar lids thoroughly. 3) outside on a tarp, spray all lids with primer. (you can skip this step if you want. to cover the top and sides of each lid. 5) after the first coat has dried, repeat step 4.
use a chalkboard marker to label each lid. chalkboard markers are more permanent than chalk. you can easily change the labels on your lids. the chalk labels will fade. if you think you might not remember which are which. happy painting, and happy cooking & baking! DOT DOT SMILE FOR KIDS.